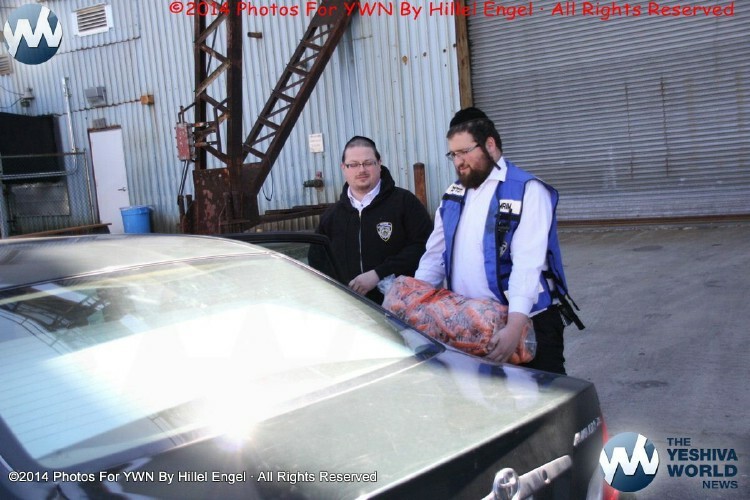 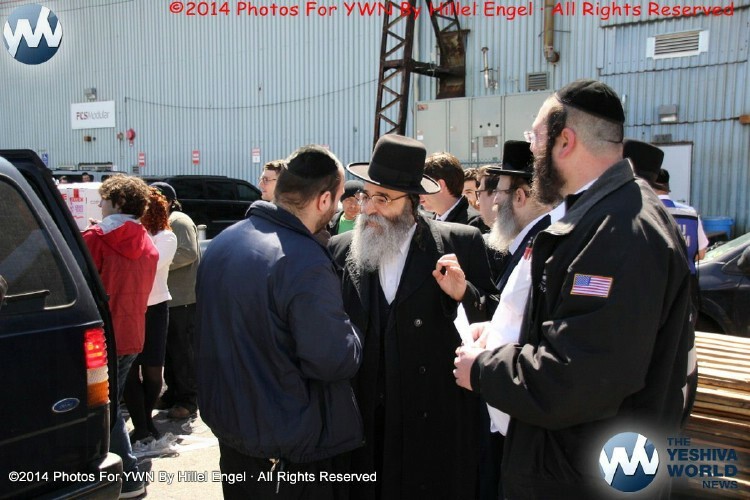 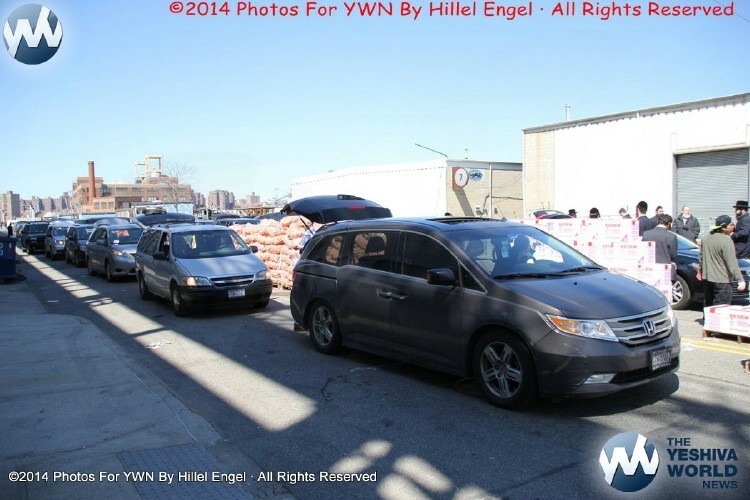 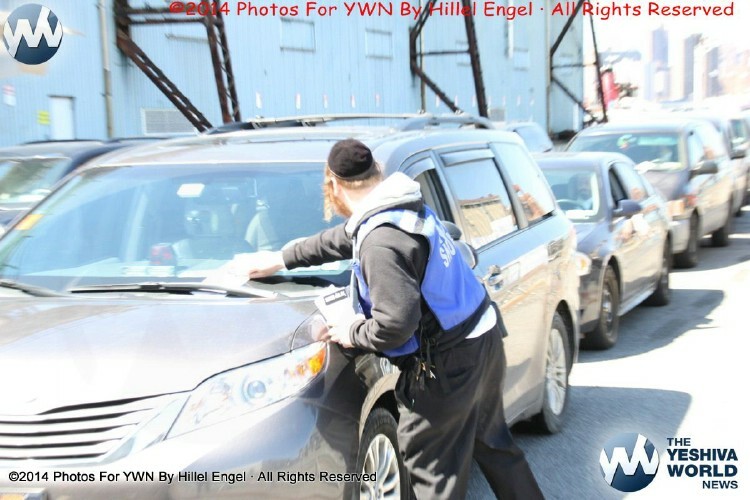 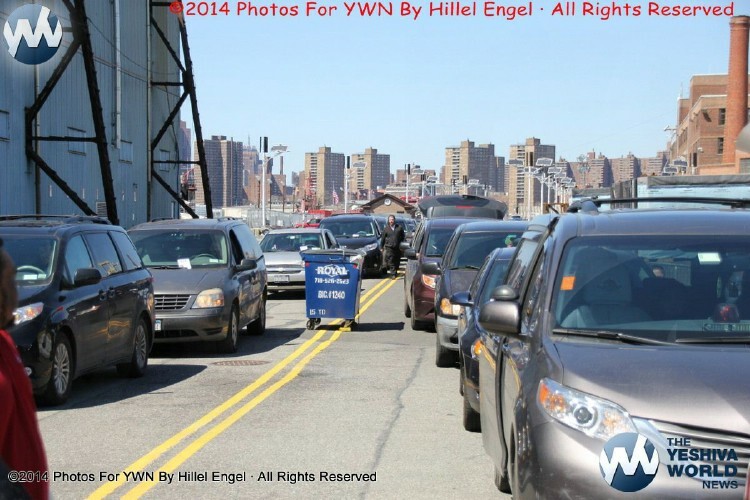 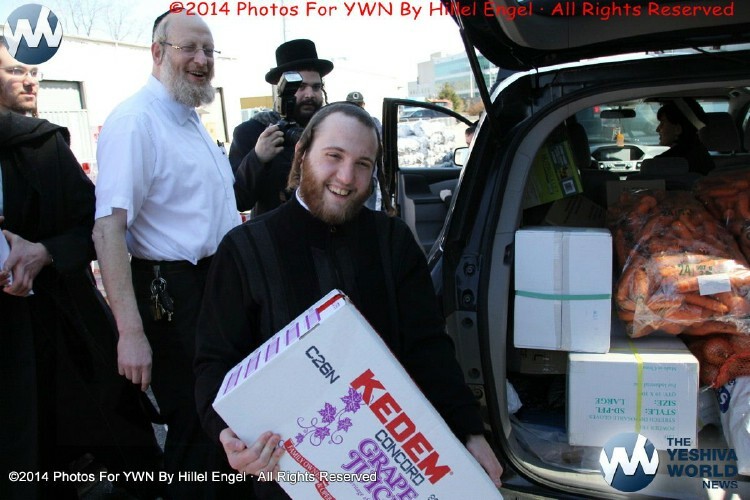 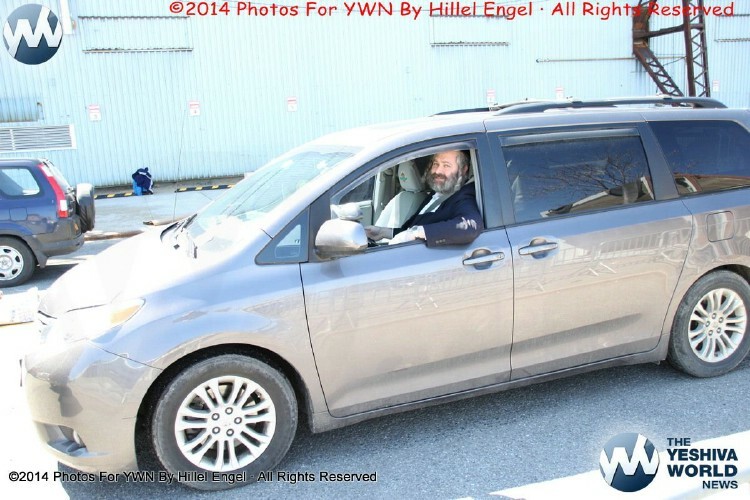 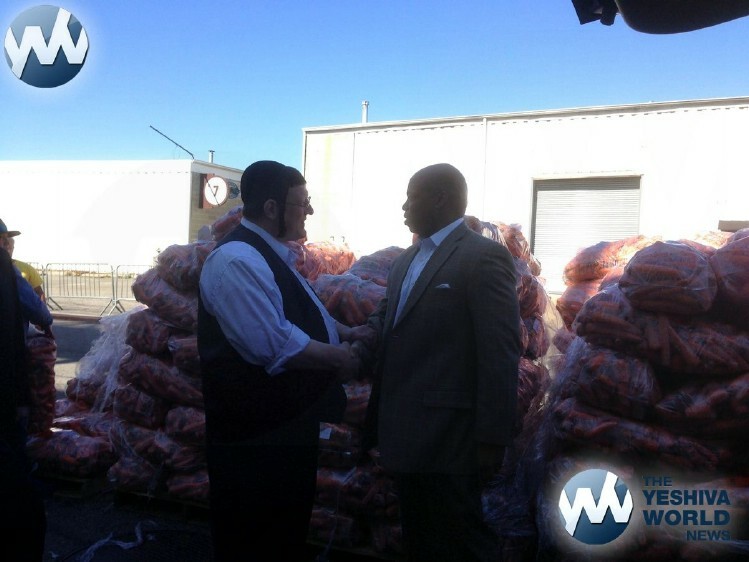 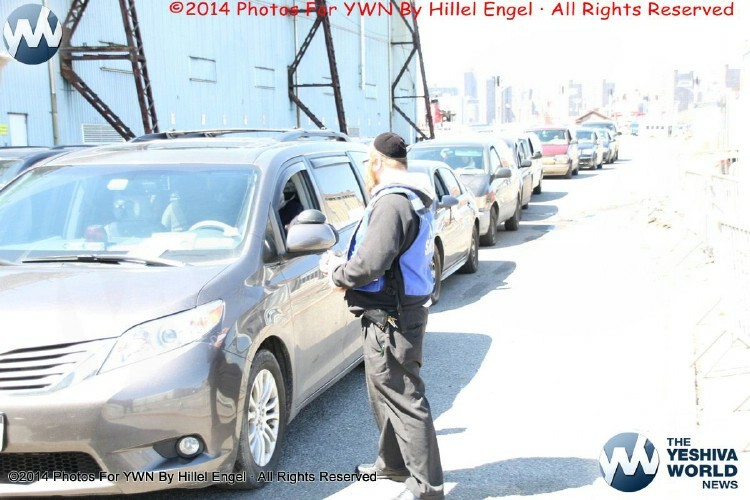 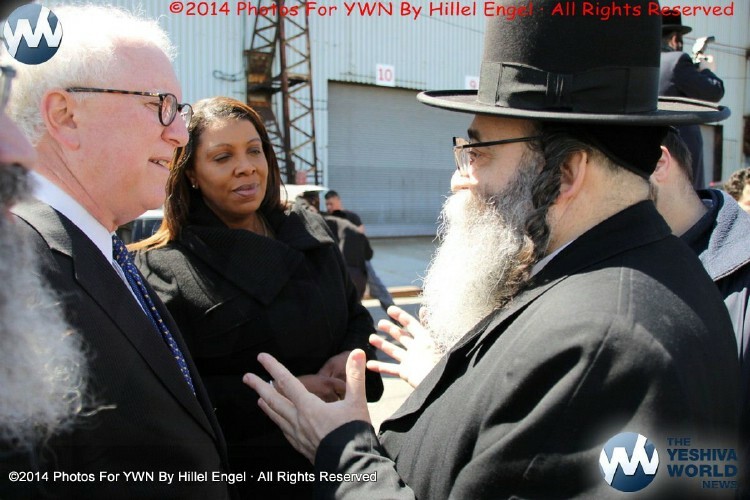 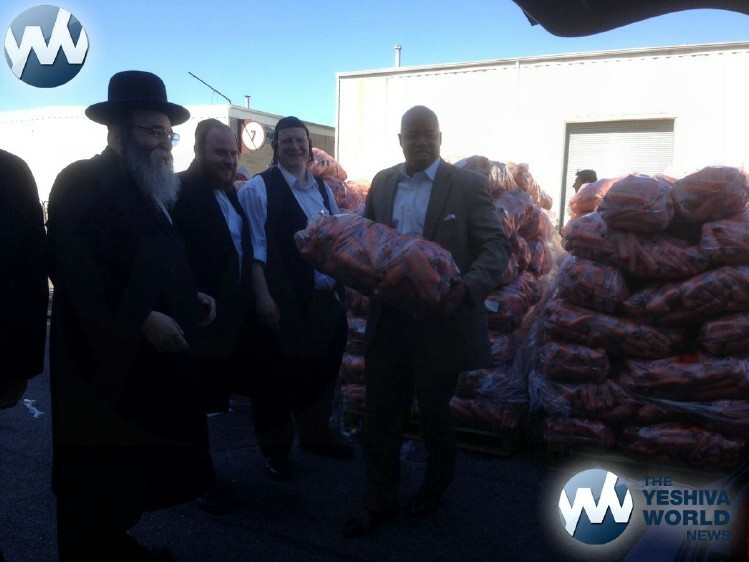 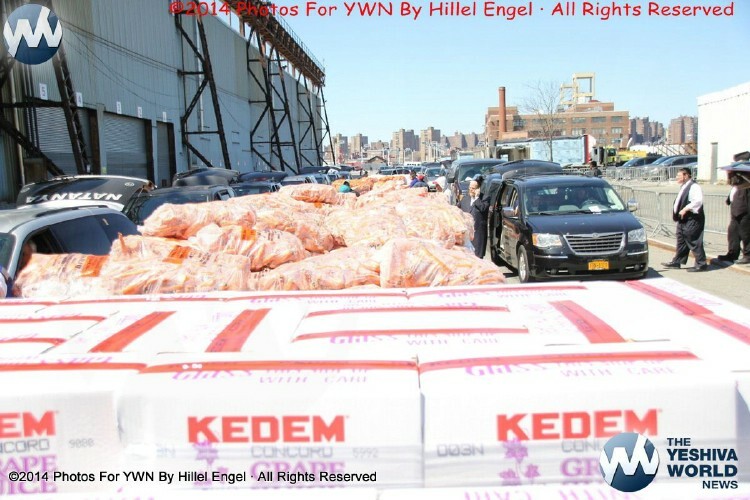 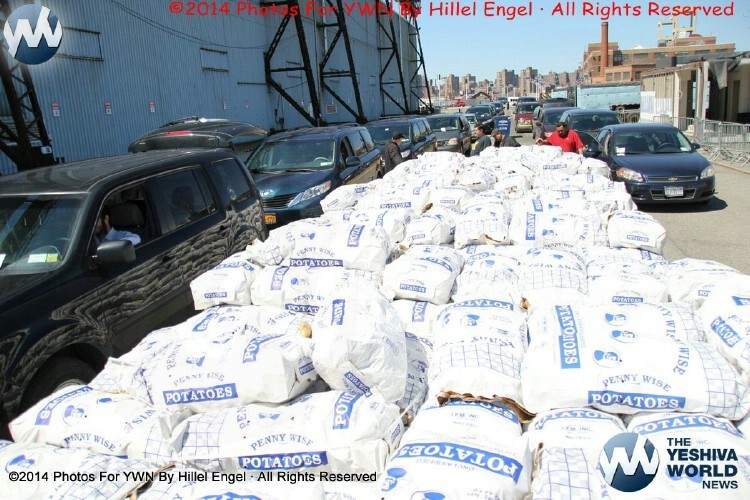 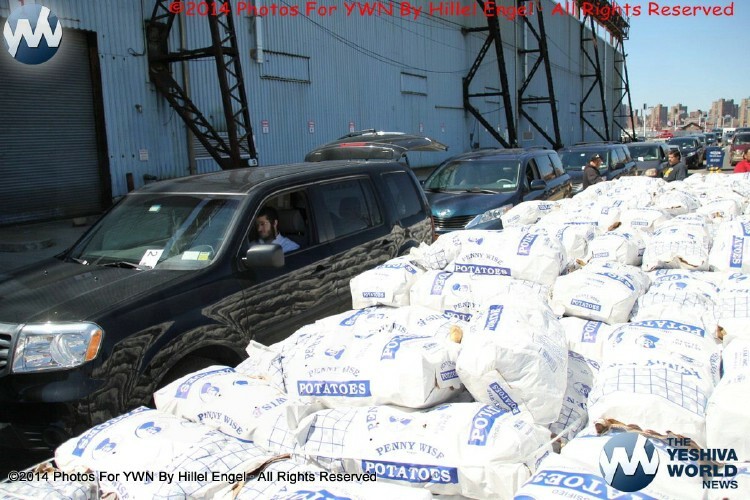 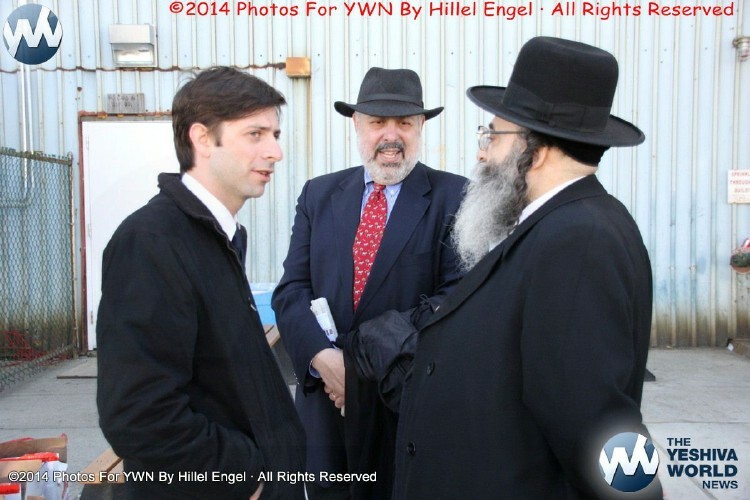 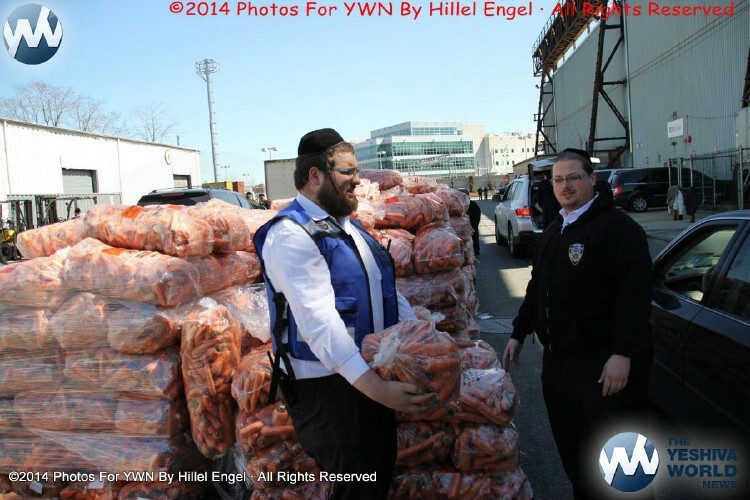 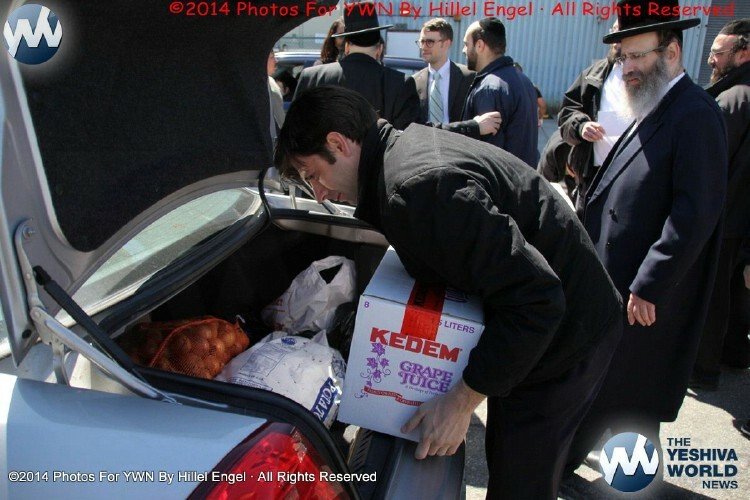 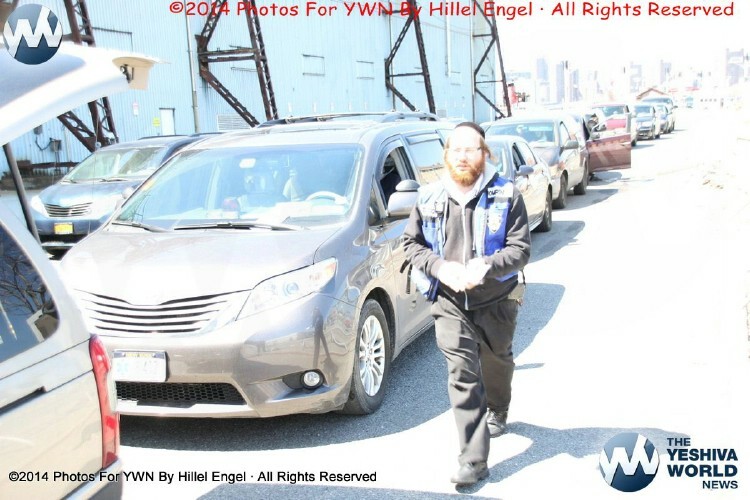 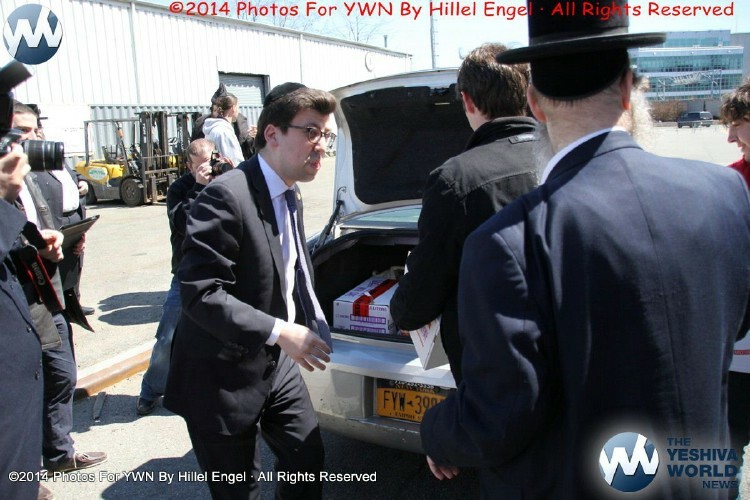 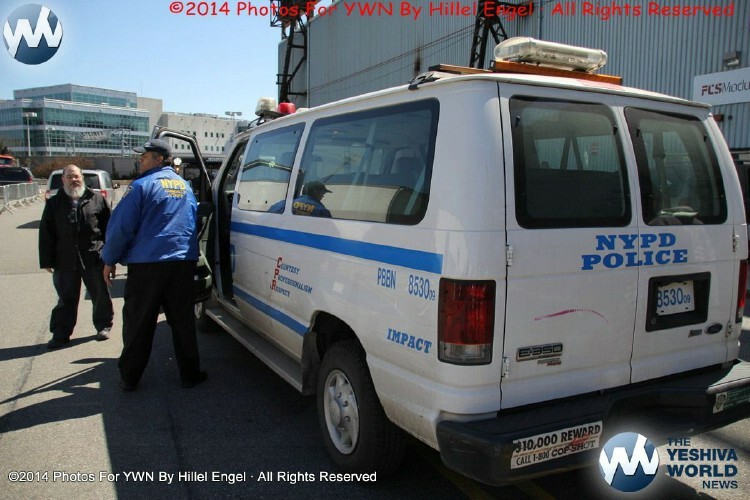 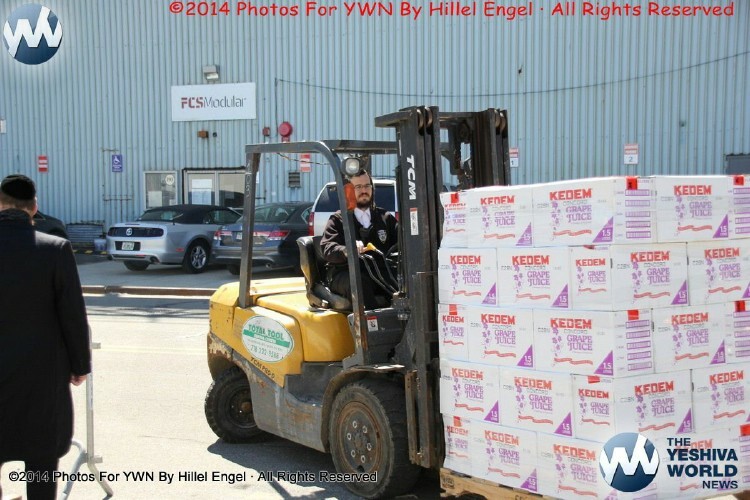 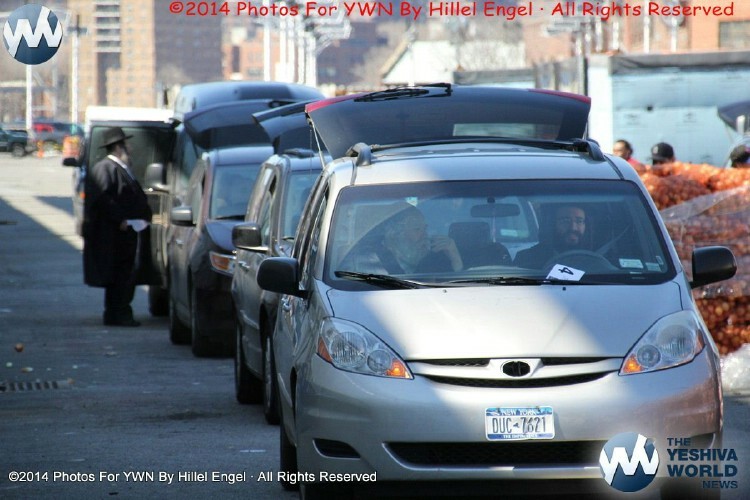 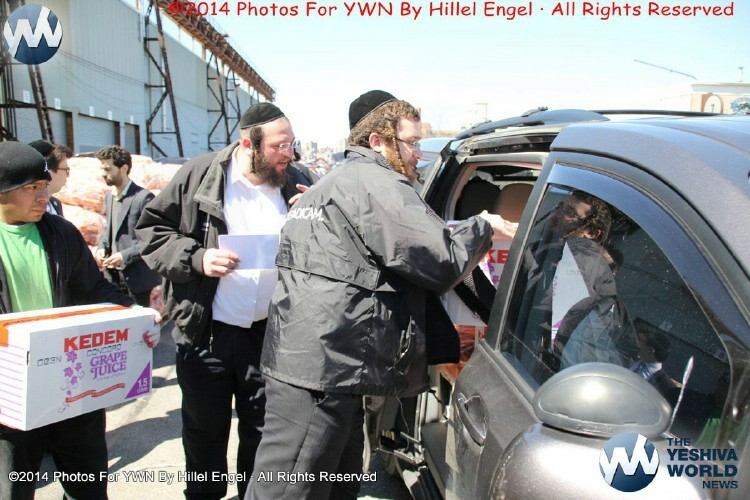 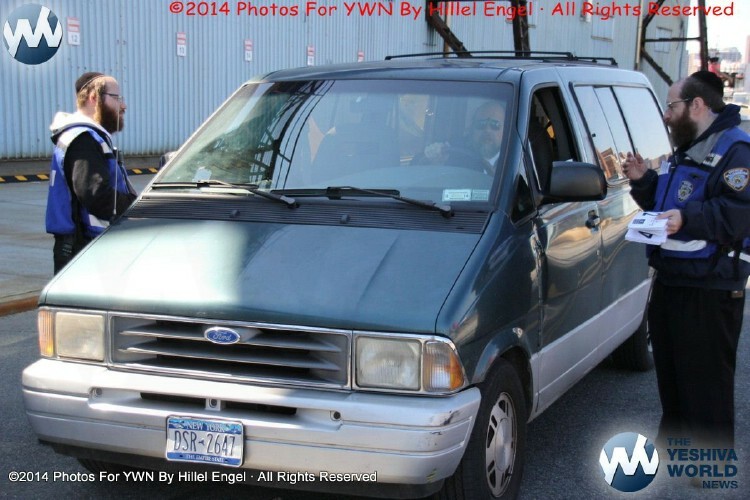 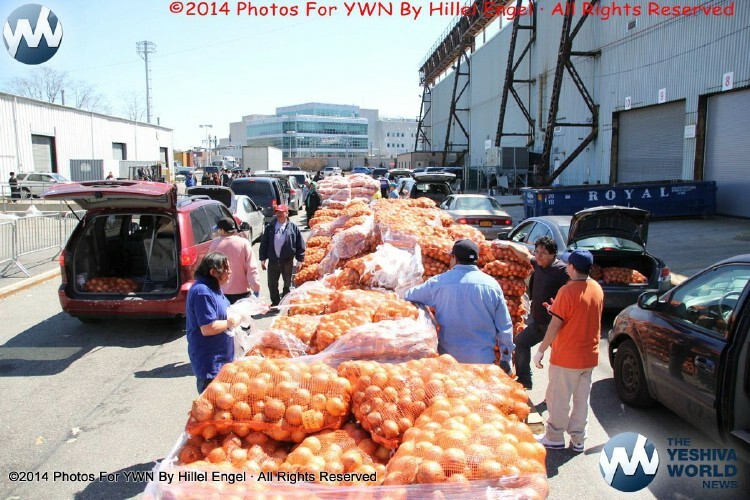 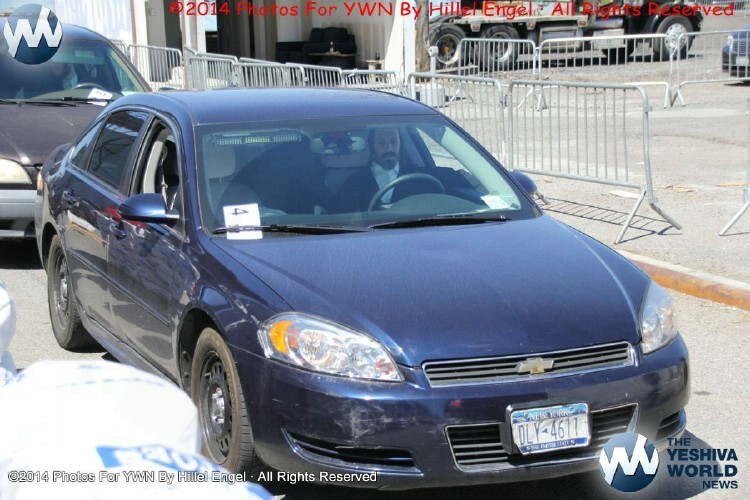 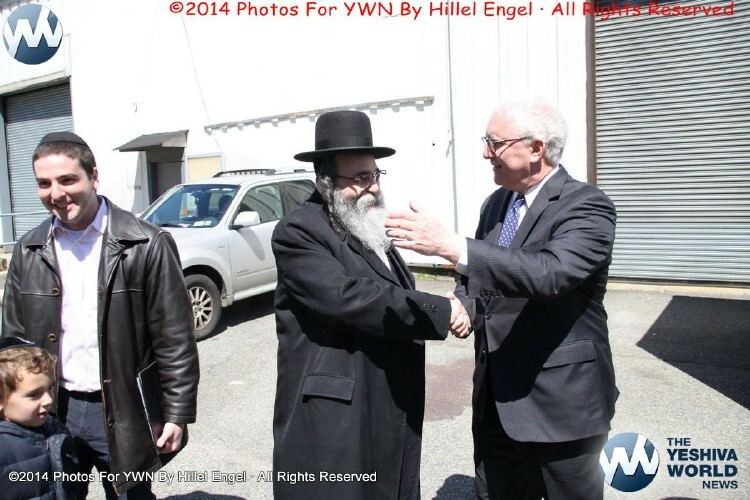 Thousands of needy people came to the Brooklyn Navy Yard in Williamsburg Sunday and received tens of thousands of pounds of Kosher-for-Passover food in an effort to help the needy observe the upcoming holiday. 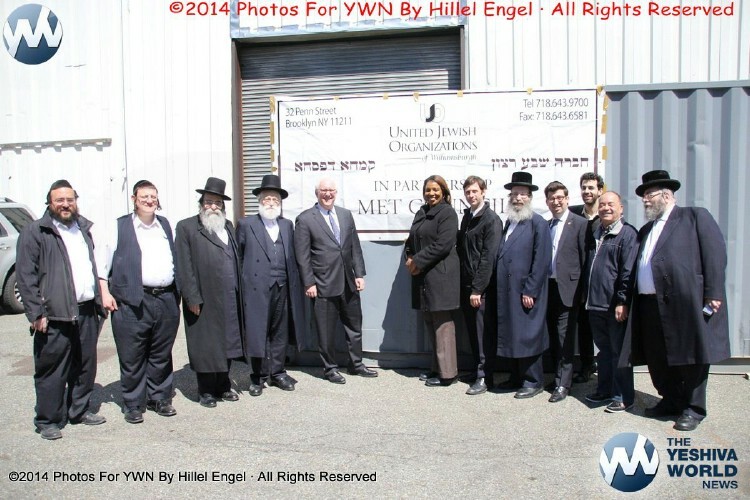 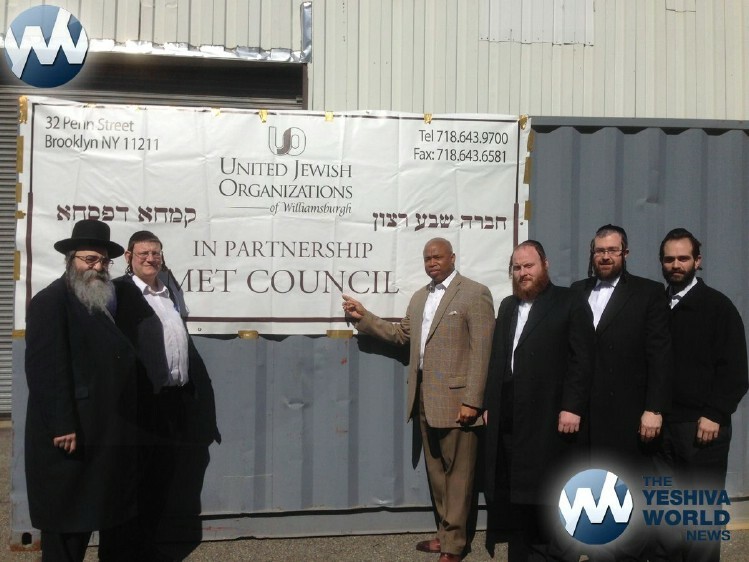 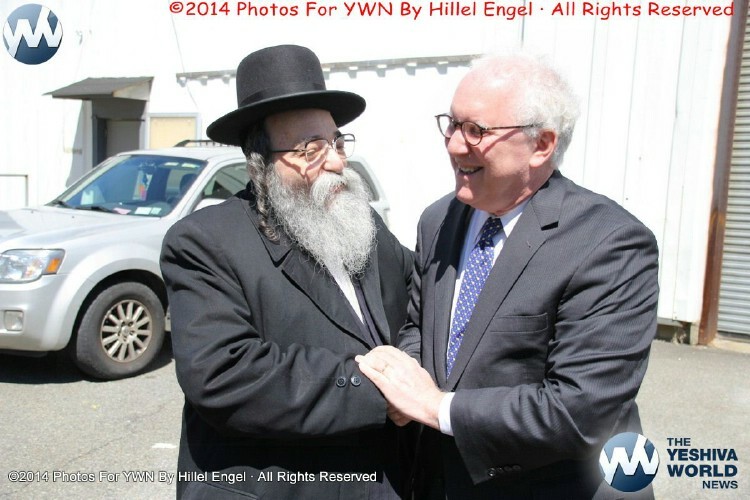 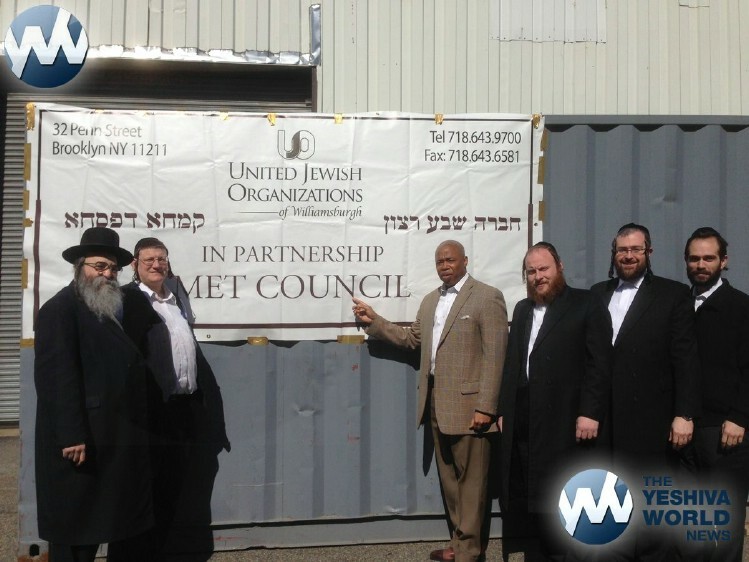 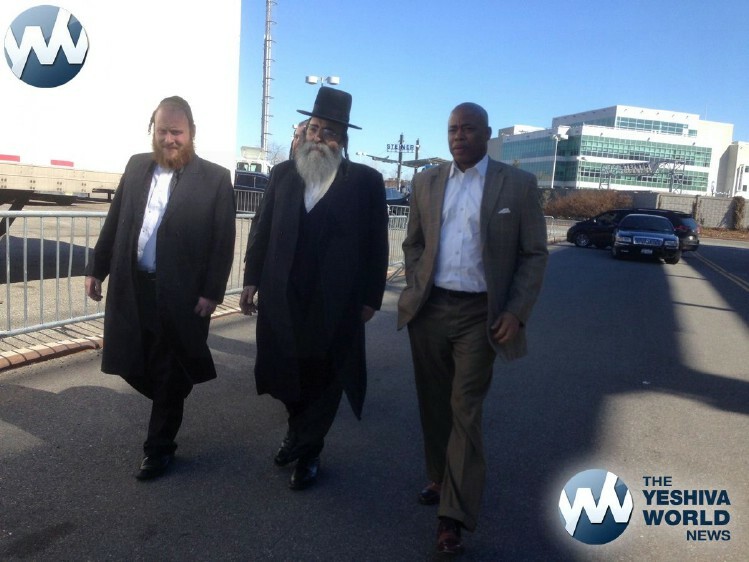 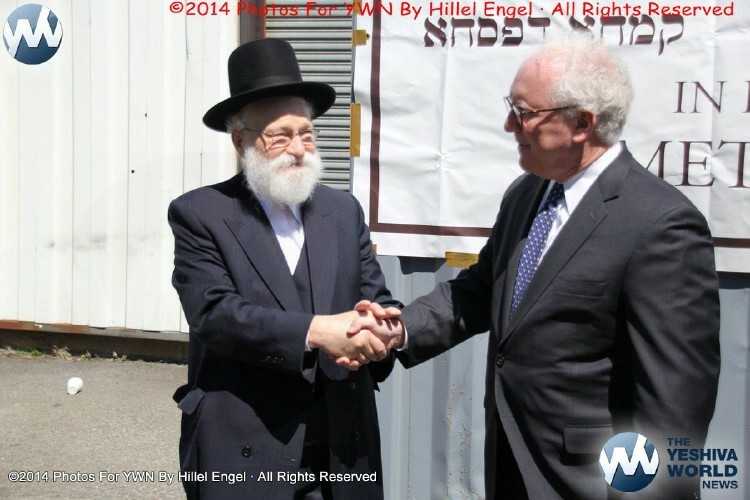 The event was sponsored by the United Jewish Organizations of Williamsburg and North Brooklyn (UJO) and the Metropolitan Council on Jewish Poverty (Met Council). 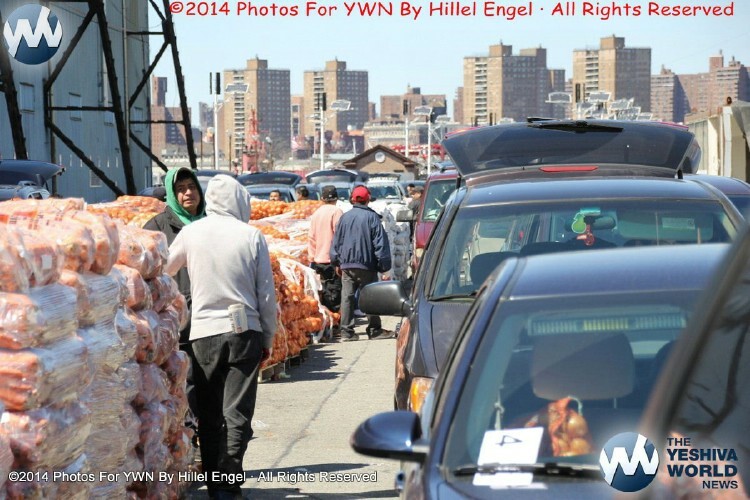 For families in poverty, Passover is one of the most difficult times of the year and the large crowds in Williamsburg represented those who sometimes must forgo the necessities of their traditions due to financial concerns. 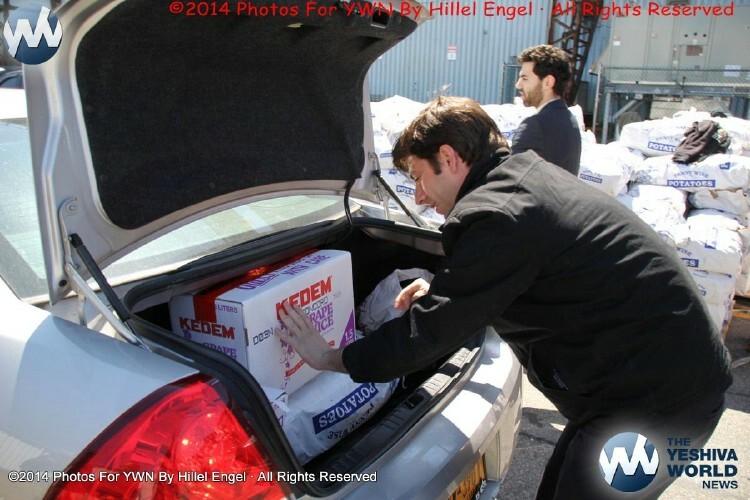 The holiday demands special Kosher for Passover foods which must be purchased, often times at great cost. 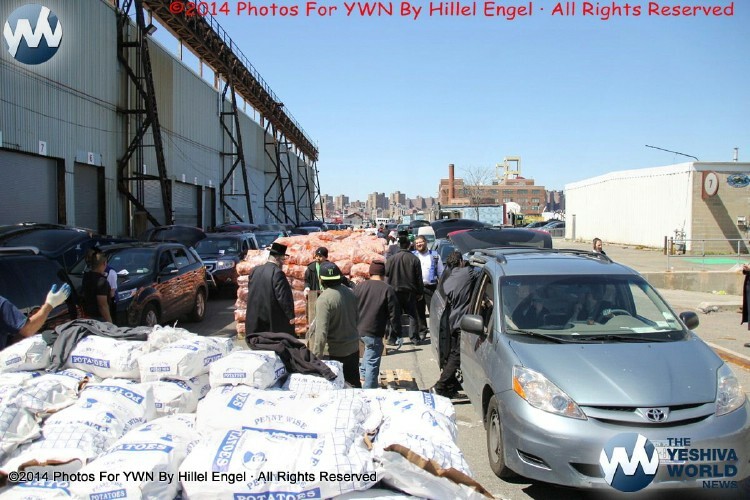 Many poorer Jewish families in Williamsburg, most of whom have large households, are unable to properly observe a festive and joyous holiday without the UJO-Met Council Passover food distribution event. 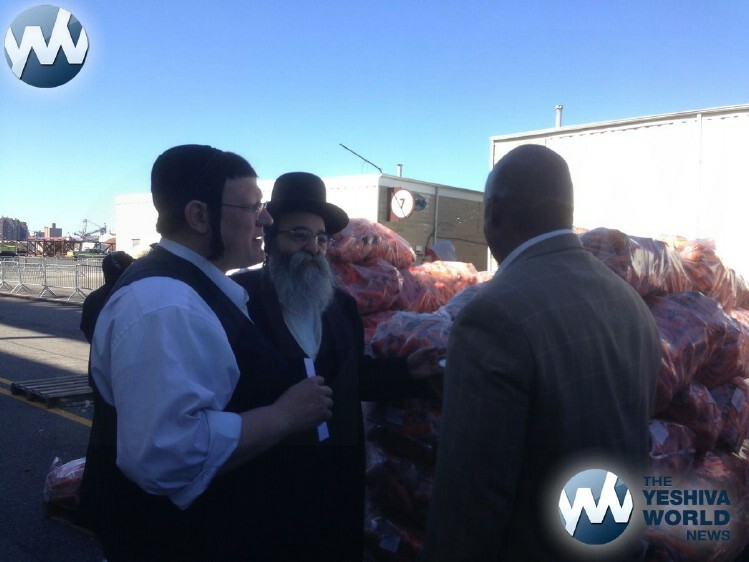 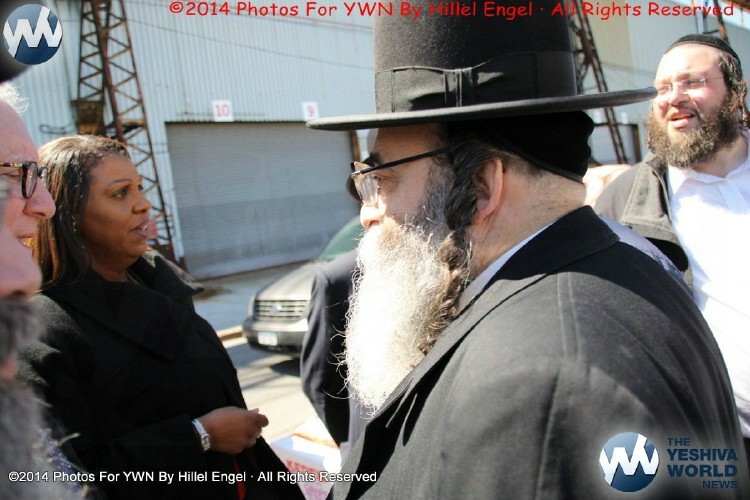 Dignitaries and elected officials from New York City and New York State were on hand to assist in the effort. 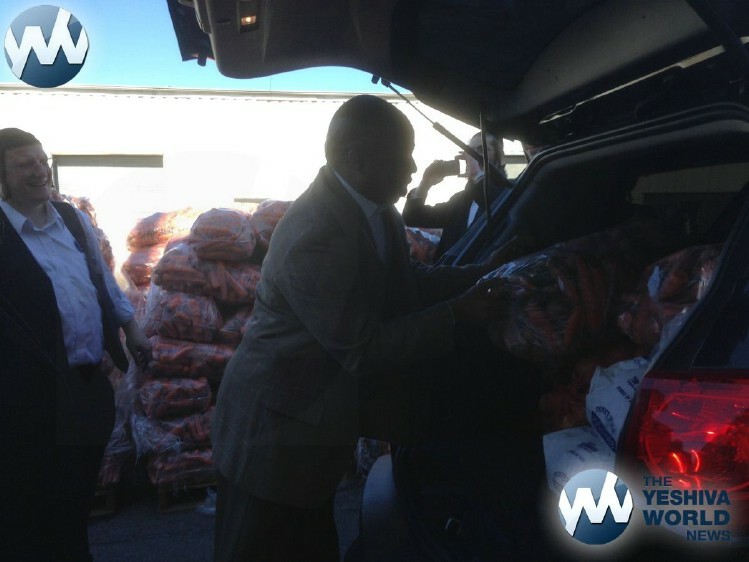 These officials saw the difficulties the poor families face and assisted with the distribution effort. 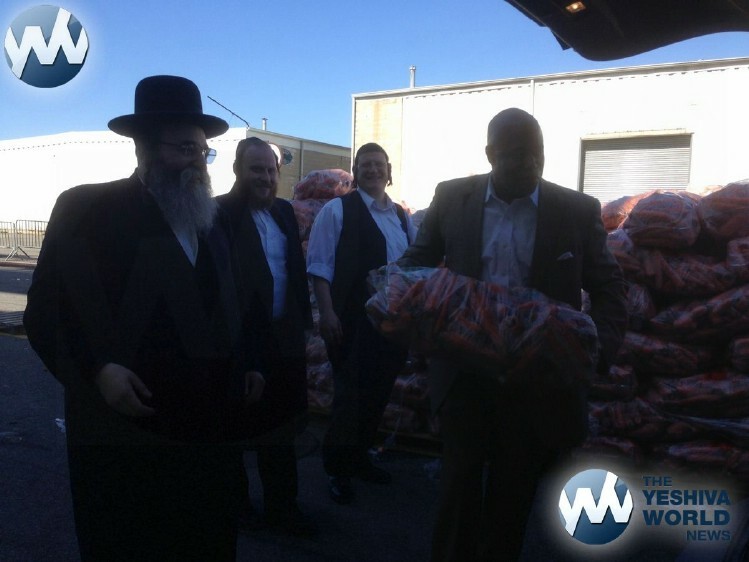 “Met Council and it’s outstanding CEO Mr. David Frankel are responsible for ensuring that we were able to have today’s distribution and bring relief to needy people. 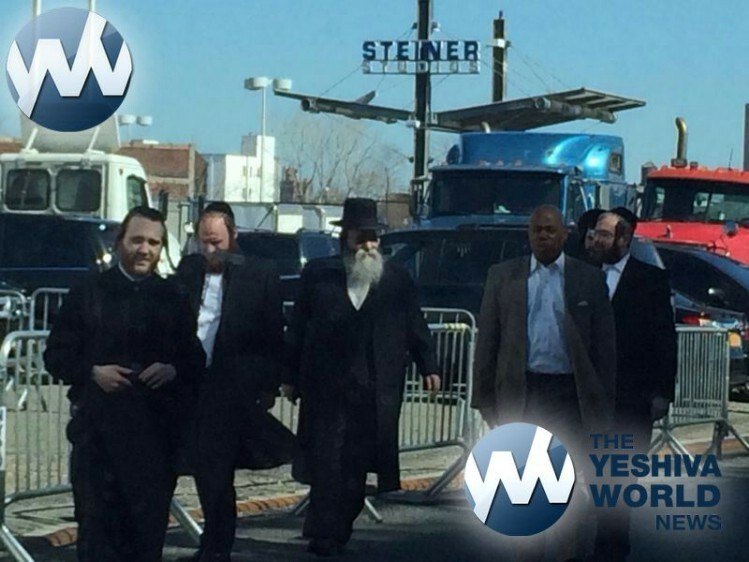 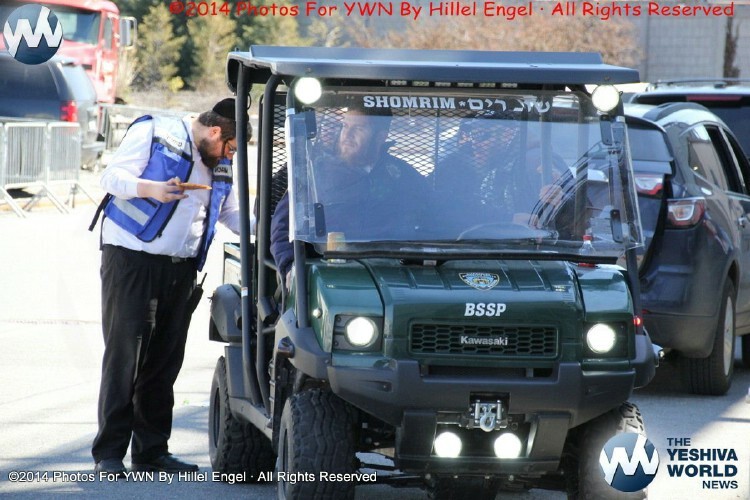 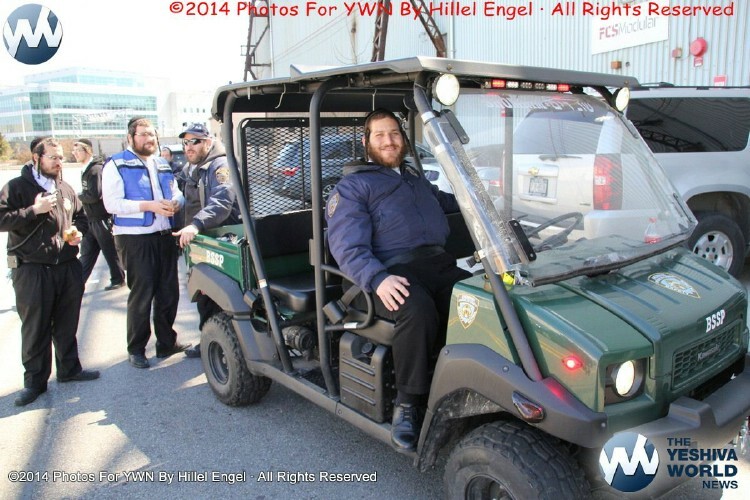 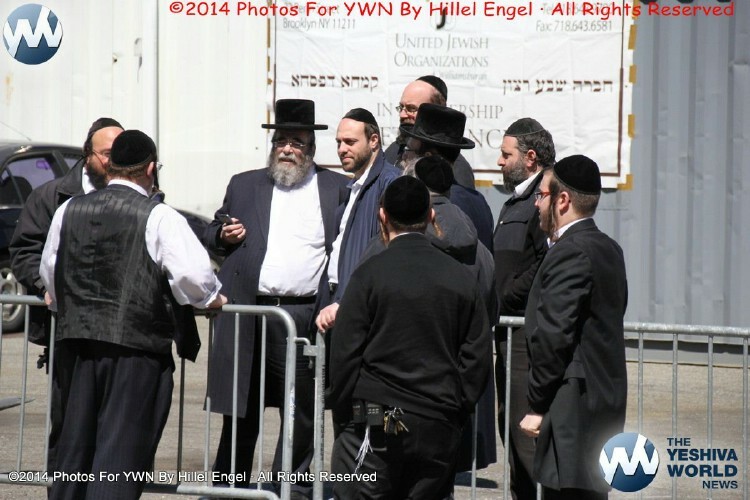 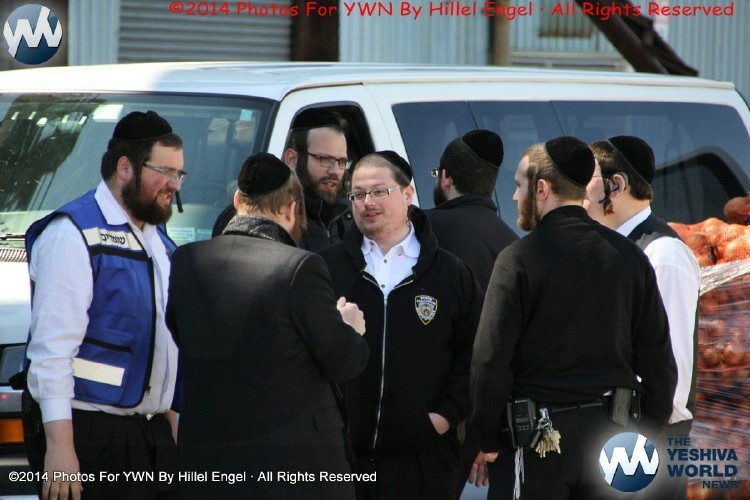 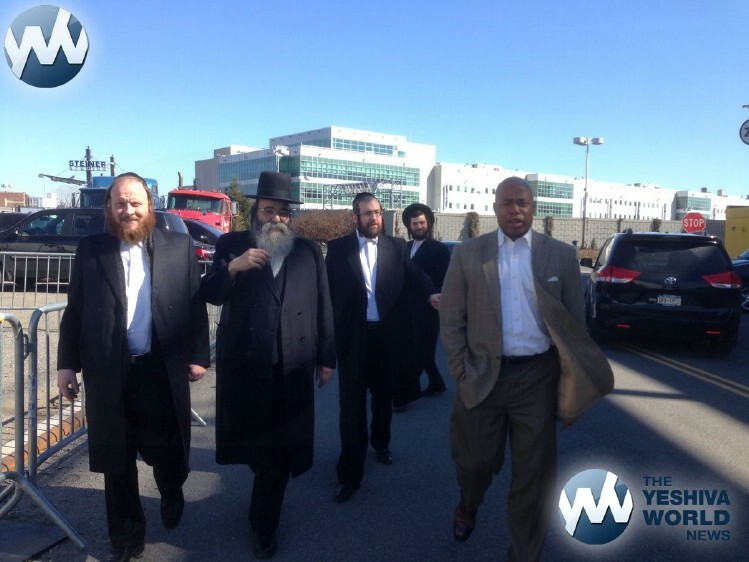 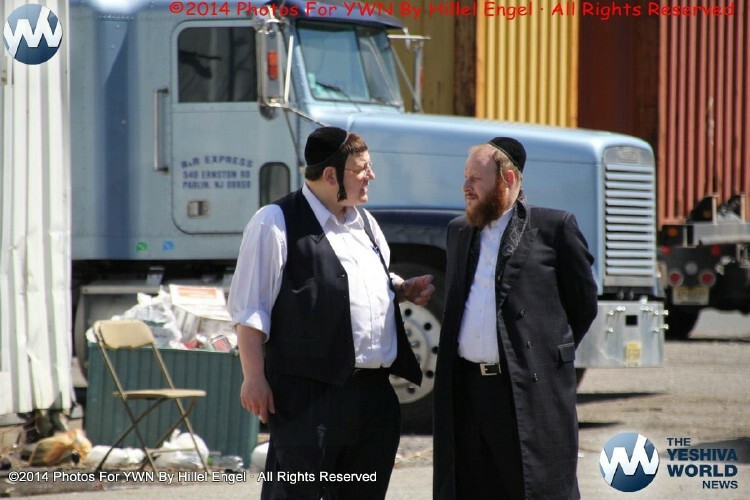 We are deeply appreciative to Douglas Steiner of Steiner Studios, The Brooklyn Navy and the NYPD’s 90th Precinct as well as the volunteers from the Williamsburg Safety Patrol (WSPU) for making sure that all the moving parts of today’s event went off without a hitch” said Rabbi David Niederman, Executive Director of the UJO. 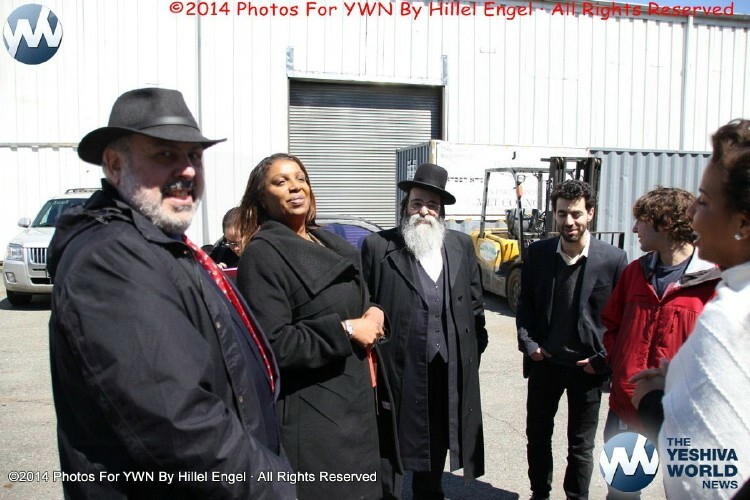 NYC Public Advocate Tish James, Brooklyn Borough President Eric Adams, Congresswoman Nydia Velasquez, Assemblyman Joe Lentol, Assemblyman Dov Hikind, State Senator Martin Melave Dilan, Councilman Steve Levin, Councilmember Laurie Cumbo, Councilman Rafael Espinal, Special Assistant to Governor Cuomo David Lobl, CB1 District Manger Gerry Esposito, Nick Rizzo, candidate for District Leader 50 AD.